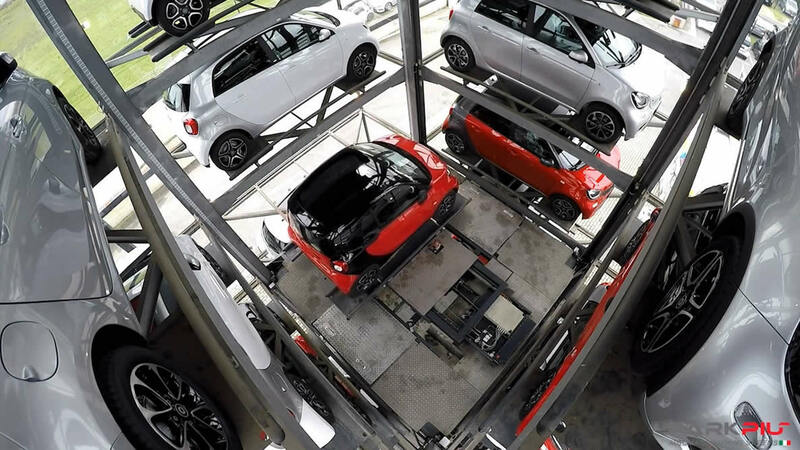 Mechanical parking systems designed to create new parking spaces by optimizing the available space. Mechanized systems with or without pit for private garages, garages for condominiums, courtyards, hotels and outdoor parking lots. 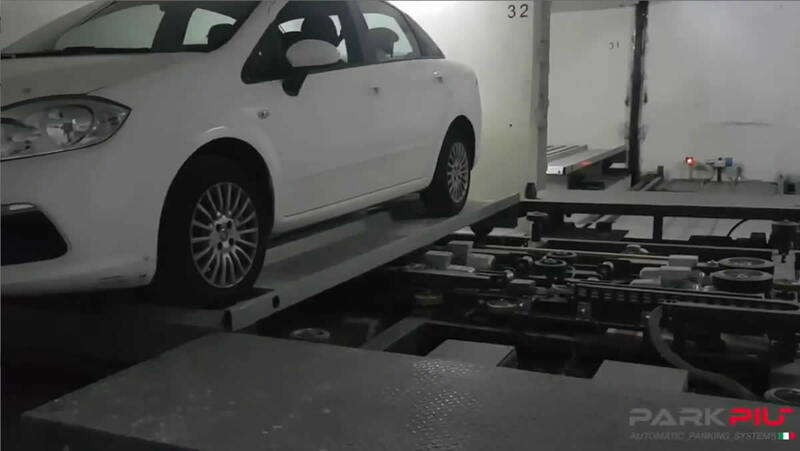 Moving or rotating mechanical parking platforms. 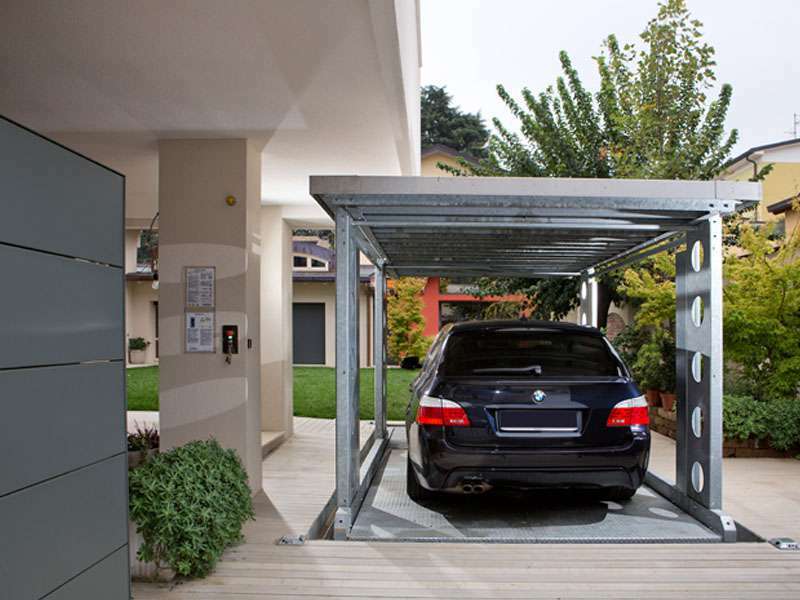 Automated parking systems designed to create large garages. 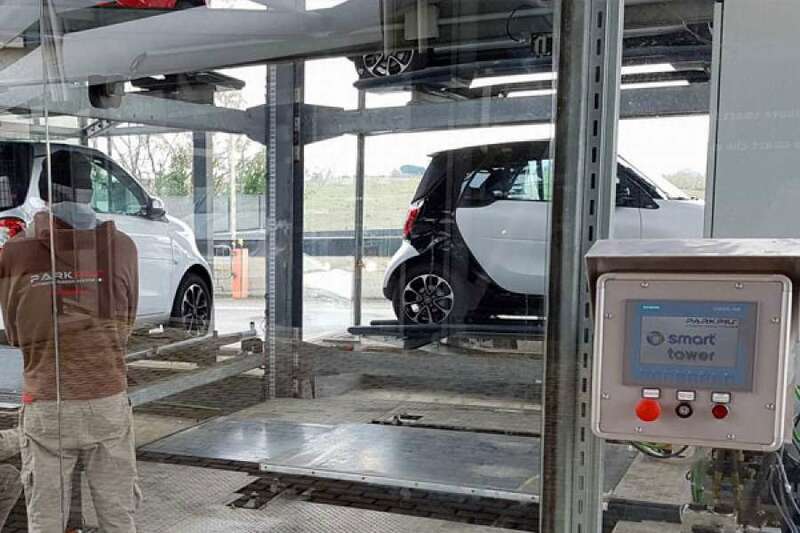 Automated installations ideal for public parking, condominium garages and car dealerships. 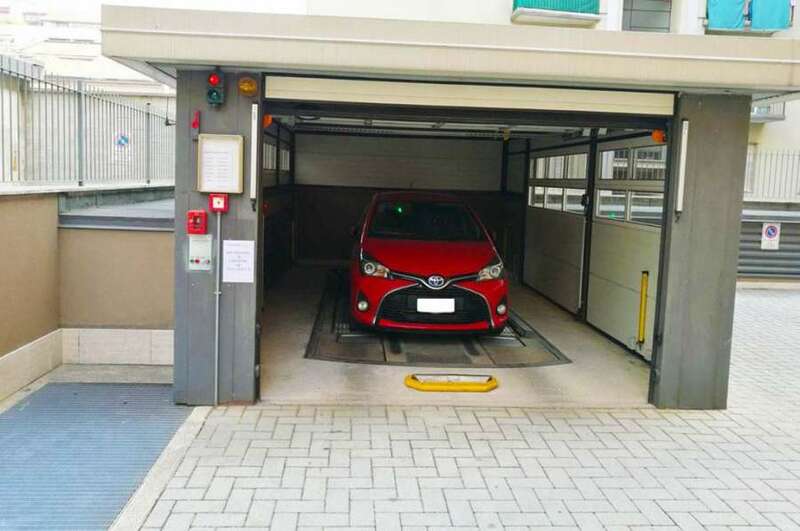 Automatic operation with underground or off-road parking levels. 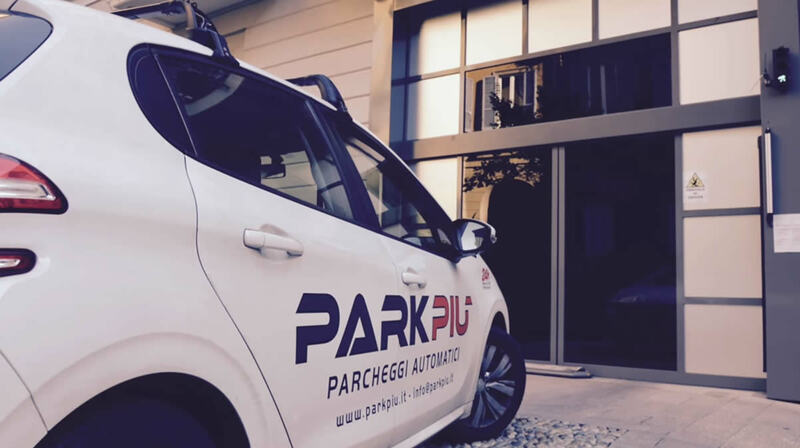 The many years of field experience has led PARKPIU to realize and patent a carriage-lifting vehicle, the unique PRKT + of our kind and our booming point. 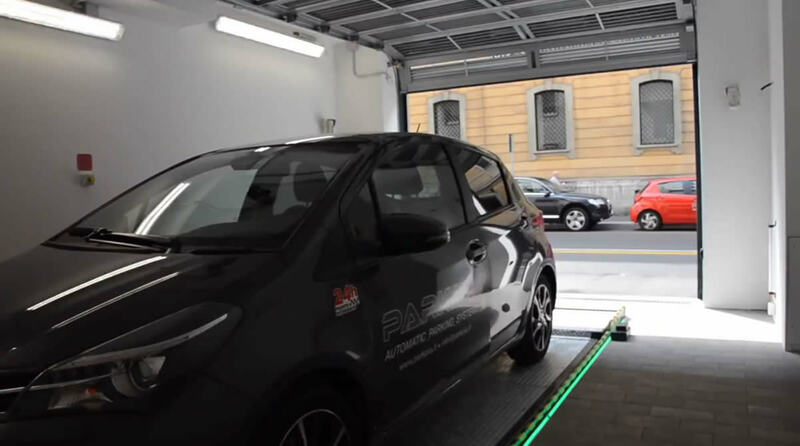 Design and maintenance of automated parking systems. 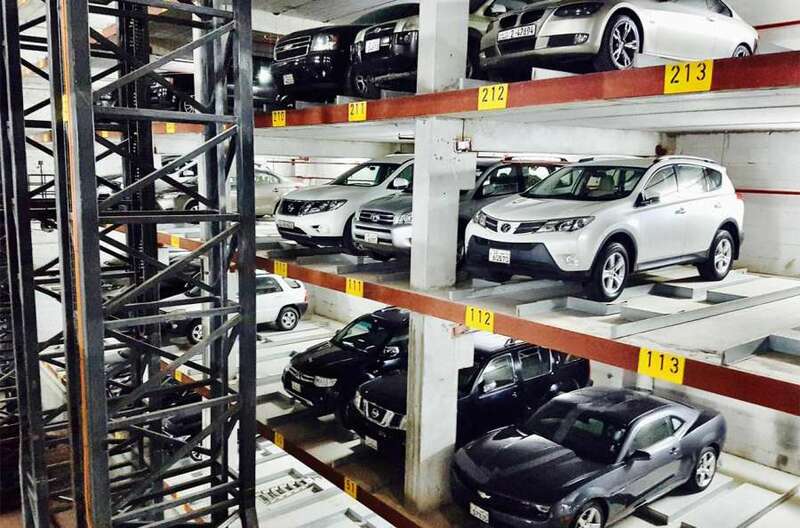 We restructure the existing parking system making it modern, functional and safe. 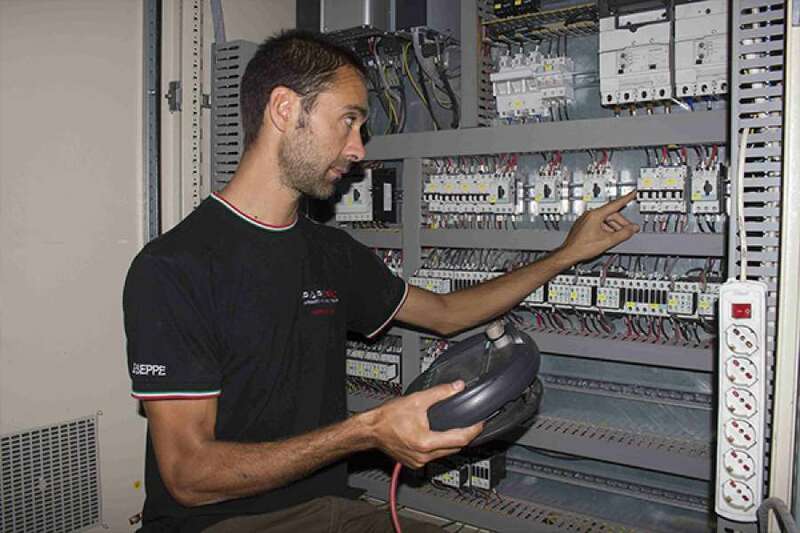 Technical assistance provided by qualified personnel 24h/24h any parking system. 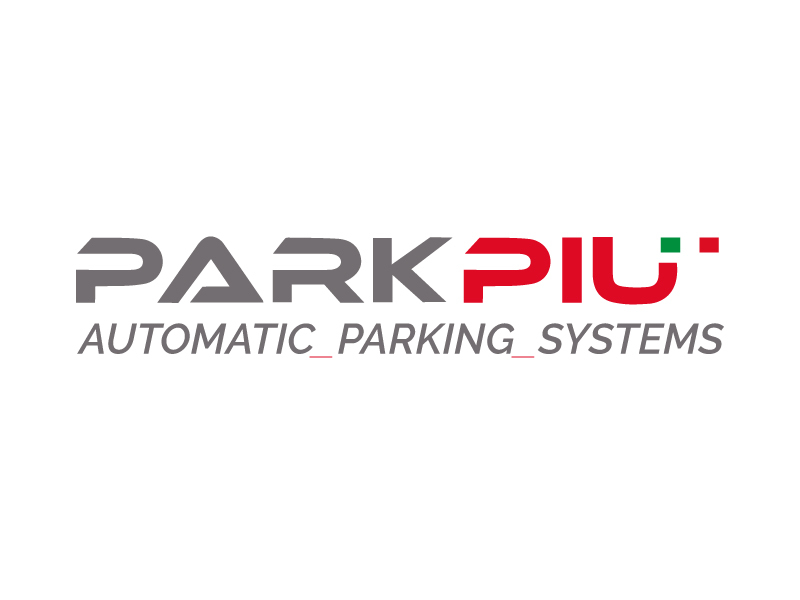 From a synergy between Carlo Galli, Simone Zappa and Maurizio Savio, in 1997 he began the Parkpiù project. 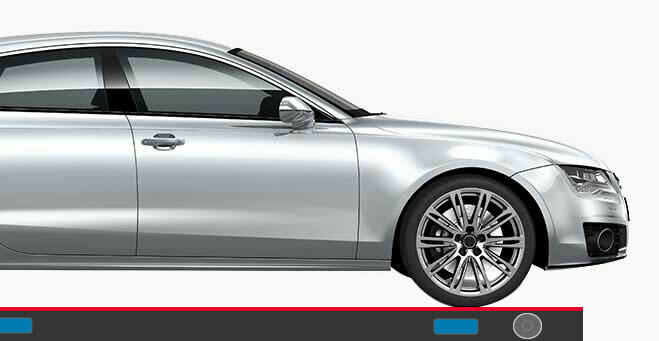 All this has allowed the production of high prestige public and private cars of the world. 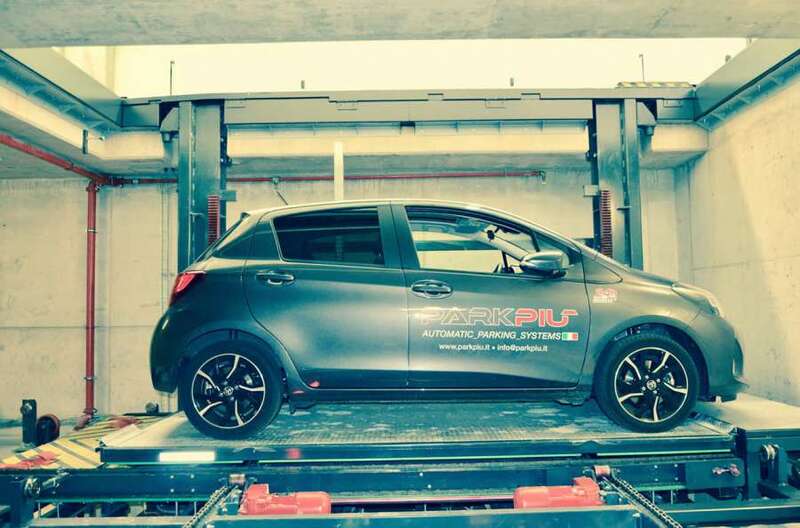 The long experience gained in the field has allowed PARKPIU to develop products and systems to solve the most common problems encountered in the realization of mechanized autosiles. 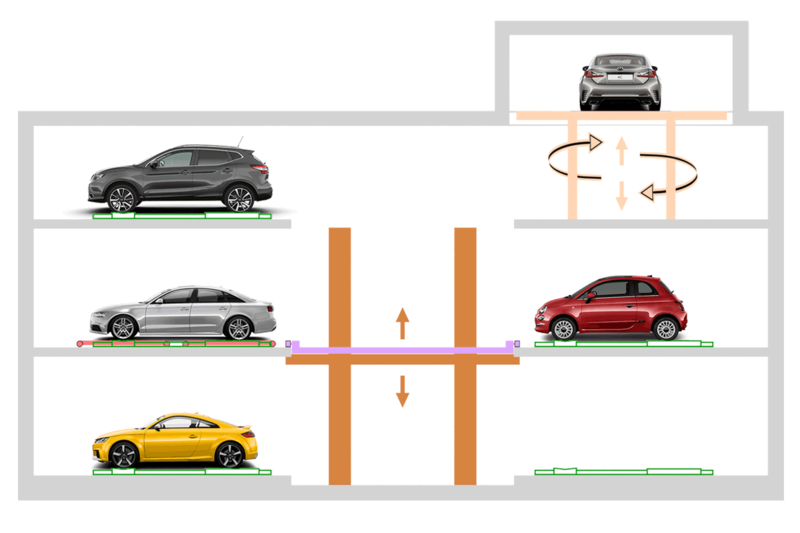 Traslo Park T is a parking model wherein cars are moved by an integral-lift carriage. This type is suitable for public and private parking facilities of medium or large size: from 80 to 1000 parking spaces with multiple modules. 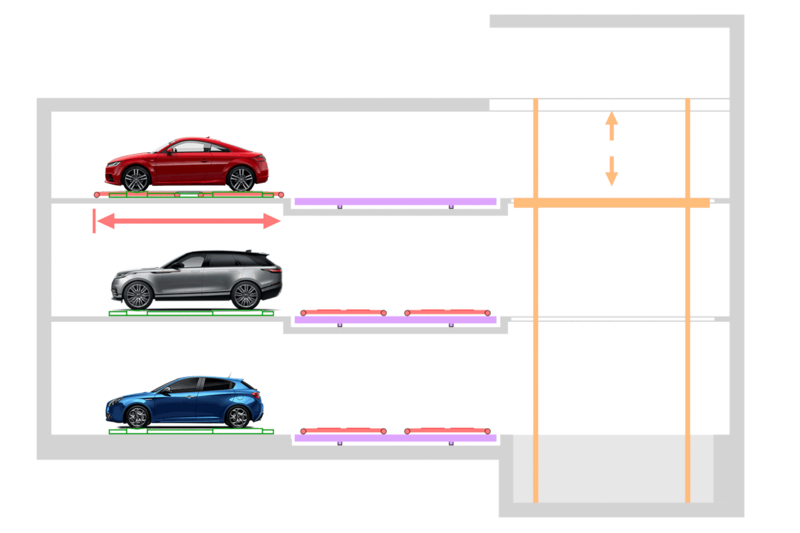 Shuttle Park T is a parking model wherein cars are moved by an integral-lift carriage. This type is suitable for public and private parking facilities of medium or large size: up to 1000 parking spaces with multiple modules. 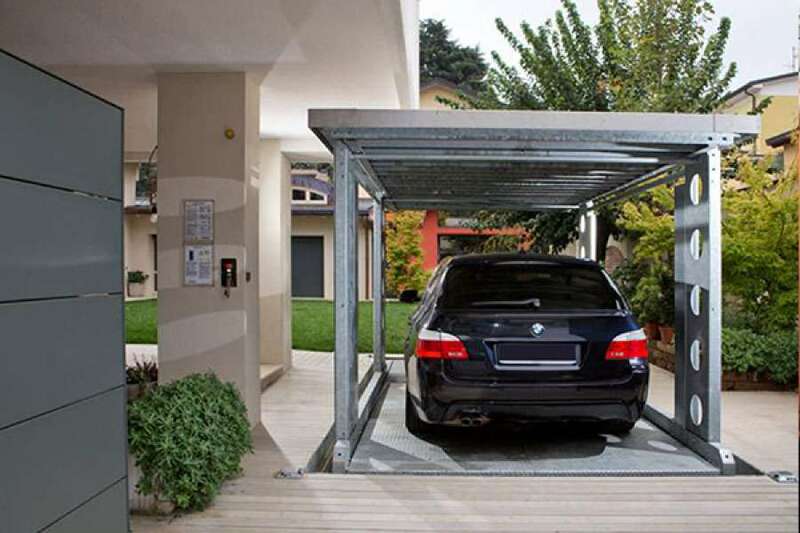 It can be built below or above ground, with access point above or below the parking levels. 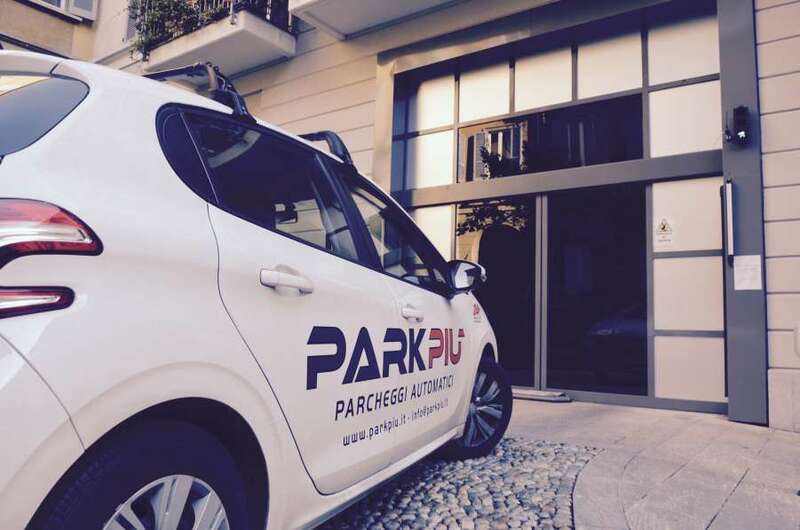 Line Park is an automated multi-platform parking model suitable for small/medium parking spaces: up to 20 parking spots, commonly used privately but may also be used for public parking needs. 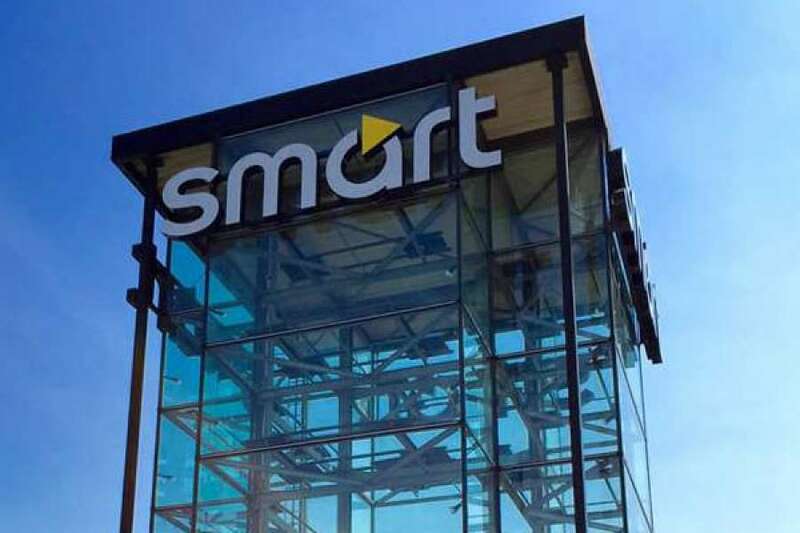 It can be built below or above ground, with access point above or below the parking levels. 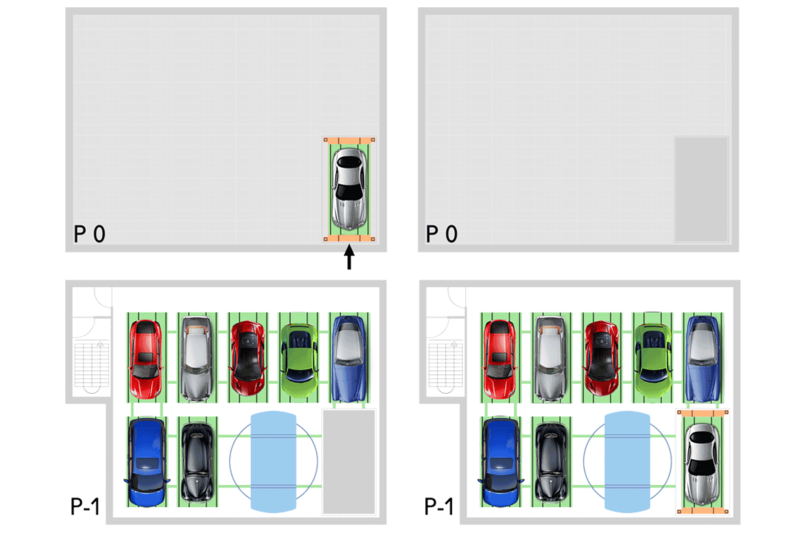 Puzzle Park is an automated multi-platform parking model suitable for small/medium parking spaces: up to 20 parking spots, commonly used privately but may also be used for public parking needs. 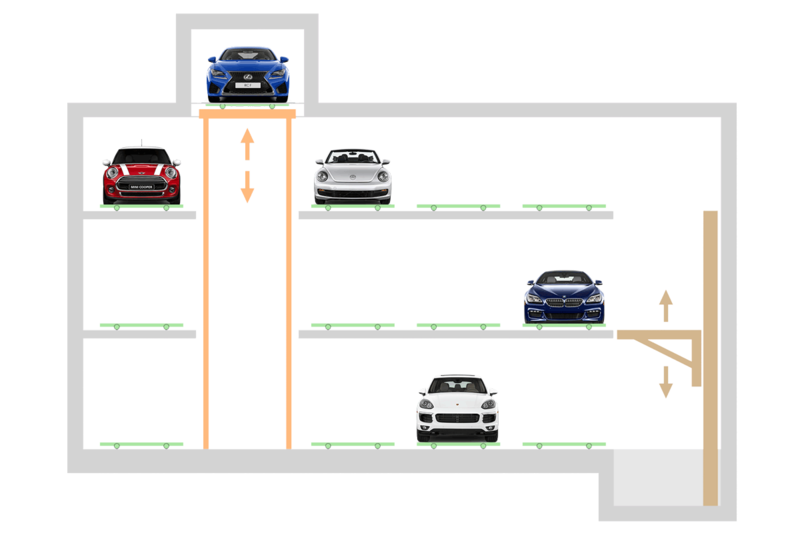 Lift Park P is an automated multi-platform parking model suitable for small/medium parking spaces: 8-40 parking spots, commonly used privately but may also be used for public parking needs. 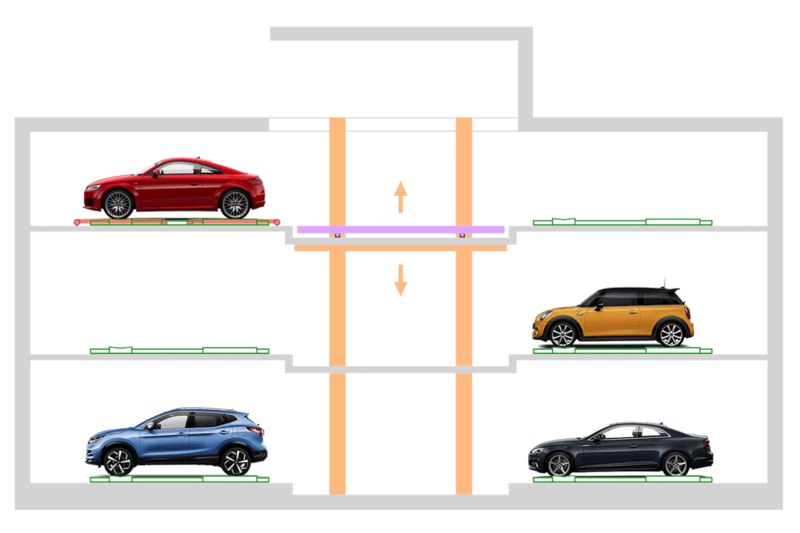 It can be built below or above ground, with access point above or below the parking levels. 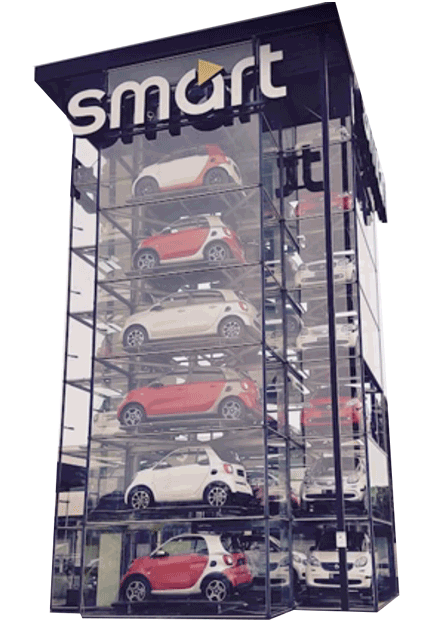 Lift Park T – Shuttle on Slab is a parking model wherein cars are moved by an integral-lift carriage. This type is suitable for public and private parking lots of a medium size: up to 80 parking spots. The cycle times tend to be lower than those of the platform models. 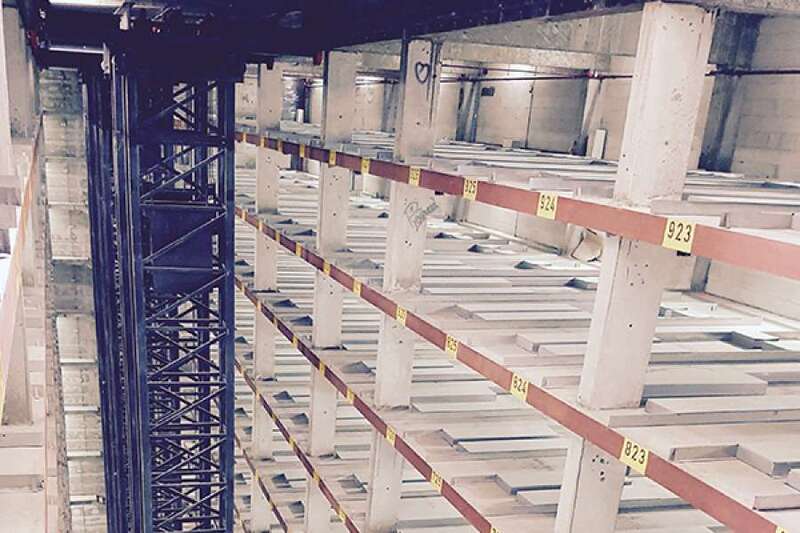 It can be built below or above ground, with access point above or below the parking levels. 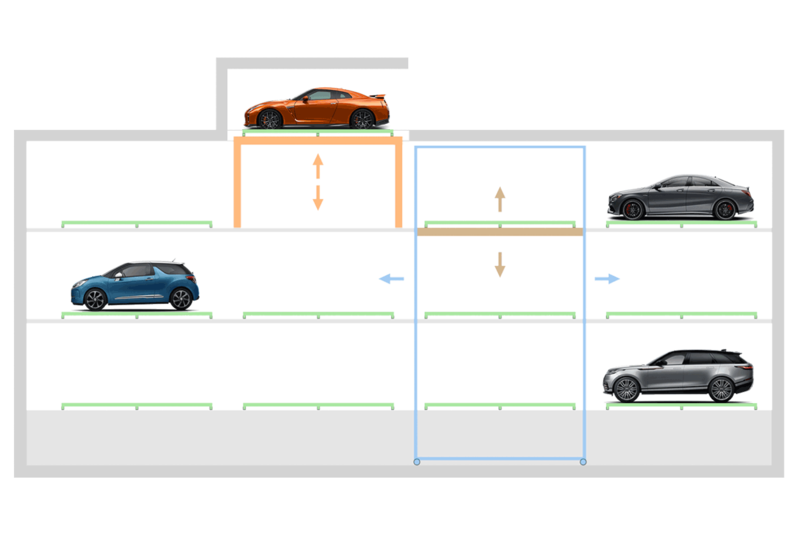 Traslo Park P is an automated platform parking model suitable for public and private parking facilities of small/medium size: up to 60 parking spots. It can be built below or above ground, with access point above or below the parking levels. 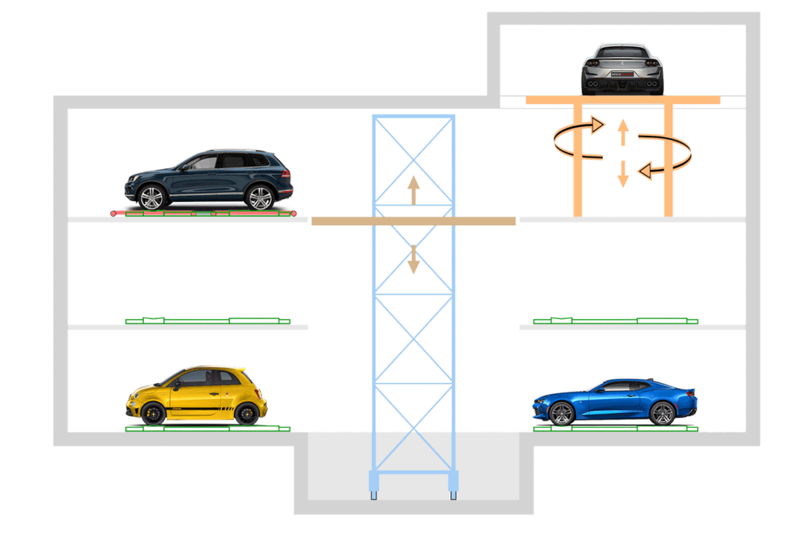 Lift Park T – Hanging Shuttle is a parking model wherein cars are moved by an integral-lift carriage. This type is suitable for public and private parking lots of a medium size: up to 80 parking spots. The cycle times tend to be lower than those of the platform models. 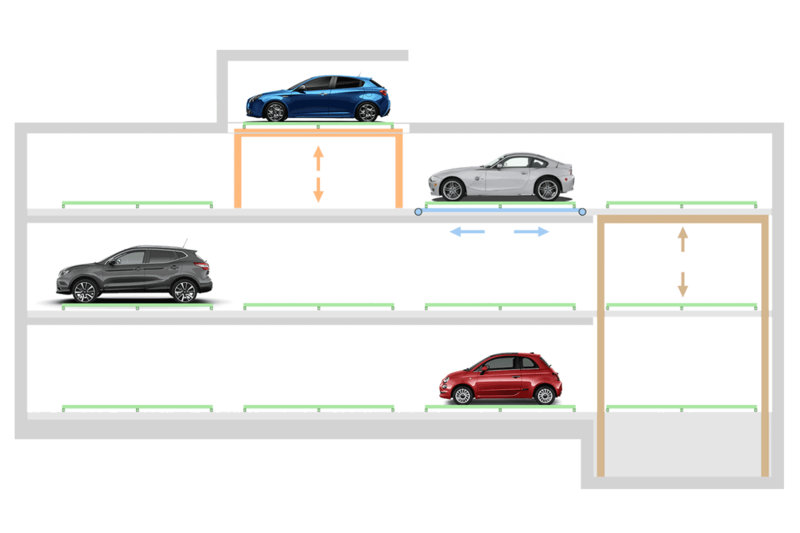 It can be built below or above ground, with access point above or below the parking levels. 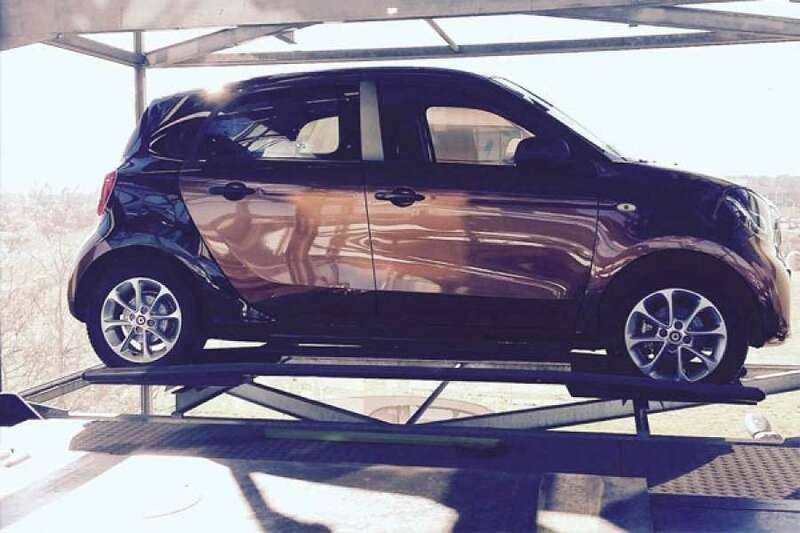 Raising platform for use WITH DRIVER ON BOARD, outdoor, for the transport of motor vehicles with only the driver on board..
With the automated system, the car lift for use without a driver on board allows for the automobile to be moved from one..
System for the independent parking of 2 cars, one above the other. 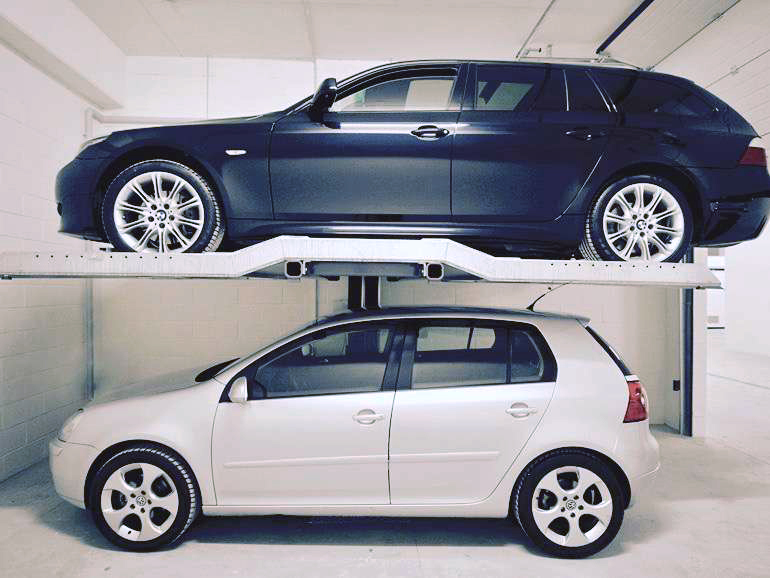 This system consists of support columns fixed to the floor..
We design, construct and restore car parks and car elevators for any need and structure. 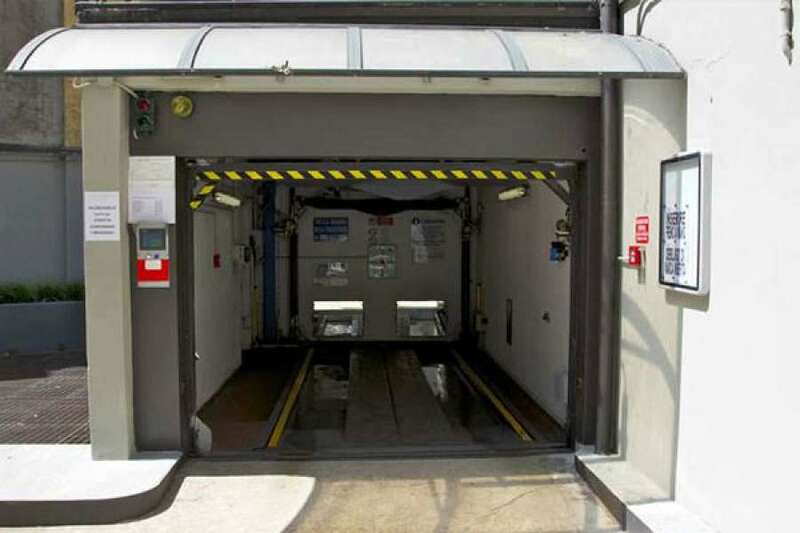 All of our systems are designed and built, taking into account local safety and environmental laws. Each design and construction phase is followed by engineer specialists. The ability to collaborate with Siemens's professional wireless systems has led us to replace the now cumbersome wired system for sensors.